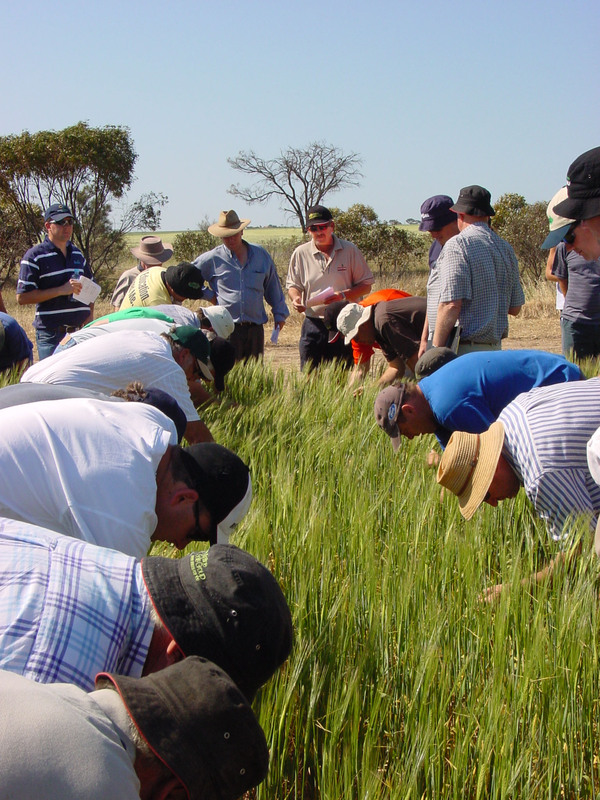 Tips for great field days – thanks once again to the GRDC Extension group for their ideas. I have build on their brainstorm with some other thoughts collected from discussions over the last 12 months. Well located – think about where the field day site is to be located. Is it easily accessible? If it’s a very wet season will people still be able to access the site? What is the noise level like? Is there a busy highway or train line close to the site which will impact on peoples ability to hear speakers? Run on time – start and finish on time, value the effort people have made to be there. This includes the sessions during the day – speakers don’t feel valued if they have prepared for 30 minutes are then are cut short because the person prior has gone over time. Know and “name” the outcomes to be achieved by the event. A few well formed outcomes are more achievable than lots and lots! Local, relevant and topical – what are the key issues being faced in the district right now. Credible topics – how can this be integrated into my farm business? Recognised farmer – utilise farmers where possible to tell stories and value add to the research with their first hand experiences. Evaluate – follow up, how effective was the event? Were the agreed outcomes achieved? What worked well and what could be done differently next time? Good agronomy – make sure the trials are well presented and in line with district practice. Interaction time – ensure there is time for participants to views trials, ask questions and discuss what they might have learnt amongst themselves. Good food – this is vitally important! Poor food will be all that is reported on so get it right! Focus – not heaps of trials or topics. 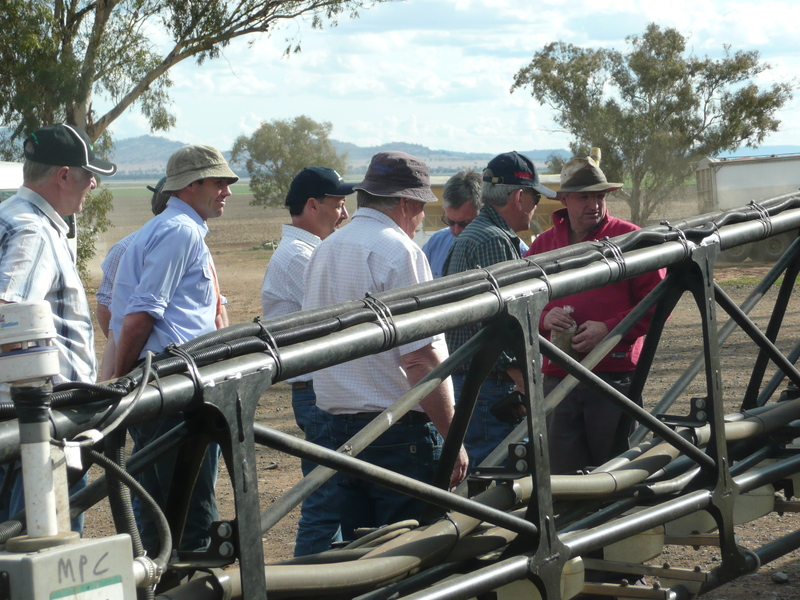 Crop trial inspection time – focus on a few trials is more effectively than overwhelming people with lots to view. Think about how much you can take in during one session. BBQ & beer to finish off the day and allow some very important networking time. What other ideas do readers have about what makes a great field day? If you would like to follow my blog by email enter your email address in the space on the top right hand side of the page. You will receive an email from wordpress which you must confirm to receive the blog. What gives a field day the Wow factor? This blog is a compilation of the emails and comments I have collected from my last post. I hope you all enjoy reading it and gain some useful insights into what gives a field day the Wow factor. When the focus is on a few topics. Hearing the real life story from someone who has done it. Give the research or theory and then a practical case study of whats worked in the field and what could be done differently. Time for networking, name tags, time to introduce people and find about the other people at the event. Evaluation – having the opportunity to let the organisers know what worked well and what could be done differently. These need to be written so people can be honest with their answers. Have a microphone!! A PA system with back up batteries, make sure people can hear whats going on. Be aware of the target audience and aim the information at the right level. Including some “blue-sky” research thats related to the region. Being aware of why farmers attend these events – knowledge, social occasion, exchanging ideas, seeing something different and providing for all of these creates the wow. Thanks to everyone for your fantastic contribution to this Blog topic. It doesn’t end here! Please continue to send through your thoughts and comments about great field days so I can continue my blog. To follow this blog via email put your email address in the top right hand corner of this page – you will be send an email with a link to confirm you would like to follow the blog. What makes a great Field Day? There are hundred’s of field days run across rural Australia every year with varied success. I would like to collate your ideas so we can share the Wow factor and all enjoy more great learning opportunities. What’s the big field day mistake? What would you do differently? I’d love to hear from you and will share the collective wisdom in future posts. I will also collate the responses and combine them into a document which will be provided to you as recognition of your valuable contribution.